CONGRATULATIONS to 801 lucky winners from our ARRIBA FAST & FURIOUS contest, July 13 to August 1, 2009. GRAND PRIZE WINNER: Lucky Sherilyn H. from Edmonton, Alberta and one of her lucky friends are headed to Universal Orlando Resort in Orlando, Florida! 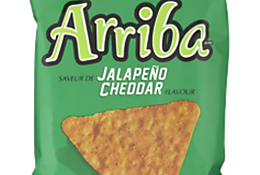 And 800 more fans of Arriba Tortilla Chips across Canada are enjoying prizes of Fast & Furious franchise DVDs and CDs! Watch for another great contest from Arriba next year! Congratulations to the lucky prize winners in our MASTERCARD MEMORIAL CUP CONTEST that ran March 22 to June 1, 2009. Four lucky winners went to the Memorial Cup in Rimouski, Quebec from May 22 to 25, 2009 to enjoy play-off and final game action! Grand Prize Winners Susan B. - Halifax, NS David J. - Edmonton, AB Craig B. - Oshawa, ON Jean R. - Gatineau, PQ Boston Pizza Gift Card Winners 600 lucky winners found a $25 Boston Pizza gift card in specially marked bags of Old Dutch® Potato Chips! Autographed CHL Hockey Jersey Winners 6 lucky winners found winning prizes messages for autographed CHL hockey jerseys Old Dutch is a proud partner of the CHL. Watch for exciting new contests with our friends at the CHL!